At long last, it looks like Cupertino has managed to take a step away from Samsung when it comes to the production of its “A-series” mobile processors. According to The Wall Street Journal, Taiwan Semiconductor Manufacturing Company (TSMC) started shipping A-series chips to Apple in the second quarter of 2014. Of course, this is good news for TSMC, but it’s great news for Apple, too, which has been relying on rival Samsung for its mobile processors for a long time. Given the companies’ recent courtroom disputes, it makes sense for Apple to lean on the South Korean tech giant as little as possible. By securing an additional supplier, Apple will have more leverage when it comes to price negotiations with its chip suppliers in the future. Through the deal, TSMC adds a high-profile customer that could help support expensive research investments the manufacturer needs to move to advanced technology and will likely boost its overall revenue this year, analysts said. 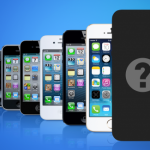 The news comes following information in May claiming that Apple had also axed Samsung as a display supplier. According to a report out of Taiwan, Cupertino is using Innolux as a display supplier for its upcoming "iPhone 6" handset -- though Foxconn and Sharp are hoping to get in on the action further down the line, also. In its aforementioned report, The Wall Street Journal adds that TSMC is manufacturing A-series processors using the expected 20-nanometer process, though a 14-nanometer design could be in the works for Apple’s A9 chip (even if Samsung had previously been touted as a supplier for this particular processor, too). 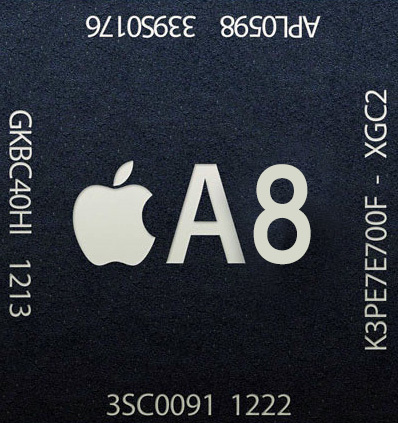 TSMC is expected to be producing the A8 processor for Apple’s upcoming "iPhone 6" handset – or handsets. 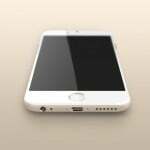 Earlier today, we heard that Apple had placed huge orders for its "iPhone 6," and that mass production is set to begin this month. We’ll keep you updated on this front. In the meantime, see: Grand Opening of Apple’s new store in Edinburgh, Scotland could be ‘imminent’, Highly anticipated Minecraft - Pocket Edition update with infinite worlds out now on iOS, and Report: Apple’s bigger "iPhone 6" to feature new haptic feedback technology.